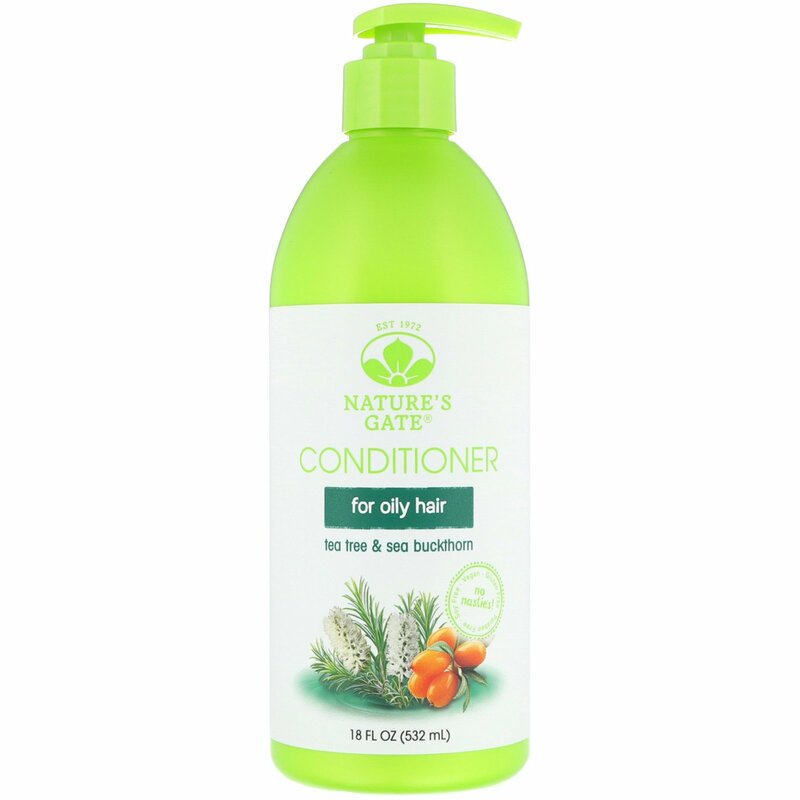 Nature's Gate, a trusted alternative for healthy hair. Your cleansing routine just got more responsible. 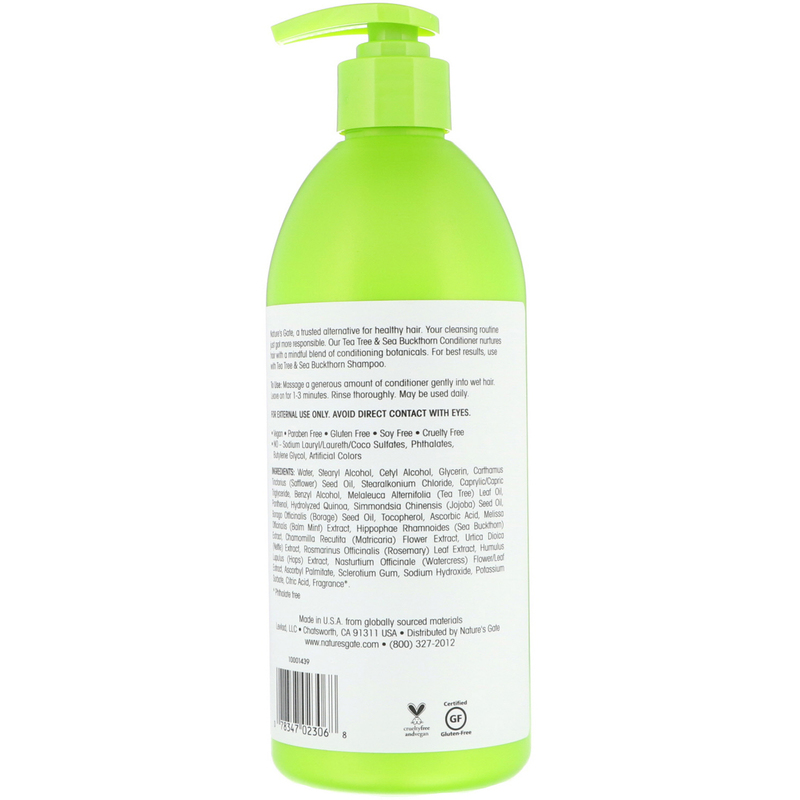 Our Tea Tree & Sea Buckthorn Conditioner nurtures hair with a mindful blend of conditioning botanicals. For best results, use with Tea Tree & Sea Buckthorn Shampoo. Water, stearyl alcohol, cetyl alcohol, glycerin, carthamus tinctorius (safflower) seed oil, stearalkonium chloride, caprylic/capric triglyceride, benzyl alcohol, melaleuca alternifolia (tea tree) leaf oil, panthenol, hydrolyzed quinoa, simmondsia chinensis (jojoba) seed oil, borago officinalis (borage) seed oil, tocopherol, ascorbic acid, melissa officinalis (balm mint) extract, hippophae rhamnoides (sea buckthorn) extract, chamomilla recutita (matricaria) flower extract, urtica dioica (nettle) extract, rosmarinus officinalis (rosemary) leaf extract, humulus lupulus (hops) extract, nasturtium officinale (watercress) flower/leaf extract, ascorbyl palmitate, sclerotium gum, sodium hydroxide, potassium sorbate, citric acid, fragrance*.